Black Armory’s Forges are going to work similar to Escalation Protocol events, where you’ll need to fight waves of enemies. The difference here is that some enemies, who are conveniently glowing blue in the video, will drop a sphere that you’ll need to chuck at the Forge to charge it. The unnamed Forge in this video is floating in mid-air, so you’ll need to time your shots right. As you throw more spheres, the Forge grows brighter and brighter until it gives off a pulse and another wave of enemies spawn. You’ll have to go through this process a few times to light the Forge. Eventually, a Boss will spawn and you’ll have to balance taking out adds and taking down the Boss’ shields if you want to inflict any damage. Once you’ve defeated the Boss, the Forge will fire up and you’ll have reclaimed it. These activities seem suited to small Fireteams as lower level Guardians might become overwhelmed quite quickly, but if you have a high enough Power level you might not struggle as much. 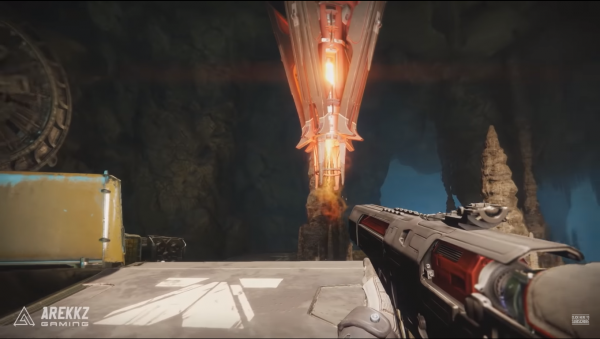 The video also gave us another look at three of the new Exotic weapons coming to Destiny 2: Izanagi’s Burden, Jötunn and Le Monarque. You can read more about their Perks and what to expect in our Black Armory Exotic weapon guide here. Black Armory and the Season of the Forge bring new gear, Pinnacle weaponsand a new raid, Scourge of the Past, to Destiny 2, starting on December 4. If you’re new to Destiny 2 or are still working your way through Forsaken, check out our ultimate Destiny 2: Forsaken guide here.